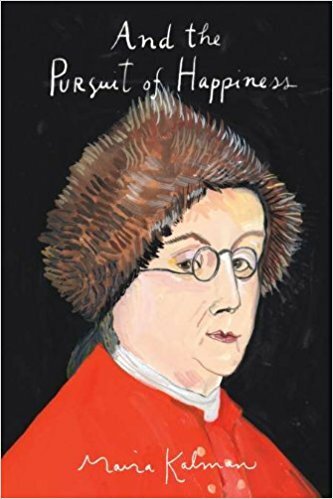 I have written before about my admiration for Maira Kalman – she blends illustration and storytelling in an especially poignant and effective way. This book is the collection of her series for the NY Times last year, where she wrote each month about something American – the Supreme Court, Monticello, Abraham Lincoln… her reports are interesting, educational, and surprisingly touching. And no, that is not your Aunt Mildred on the cover; I believe it is Benjamin Franklin. This is destined to be one of my favorite books of all time. This book is a geeky joy! Yes, I have a whole shelf of Emerson already. Yes, I bought this book. Yes, I am glad! 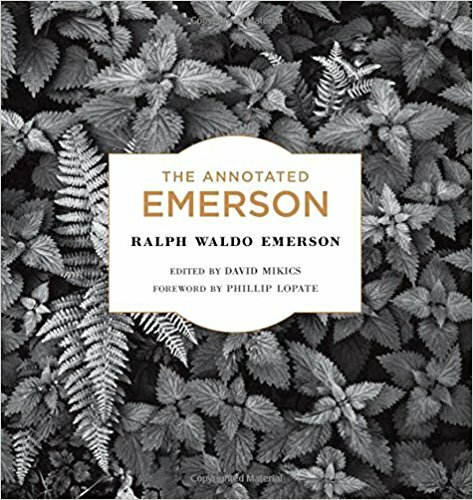 Mikics includes big fat footnotes that add context to Emerson’s own text – biographical detail, perspective from news of the day, references to others that are (sometimes subtly) quoted by RWE… I am not a fan of footnotes that are just citations, but notes that explain something, that make the primary text even better – well, that’s somethin’! I am squashing together my other volumes on the shelf to make room for this one. Oh oh oh, Walt Whitman! As loyal readers will know, I have been slowly re-working my way back through the stuff they make you read in high school, which is infinitely better if you wait a decade or two and re-read it. 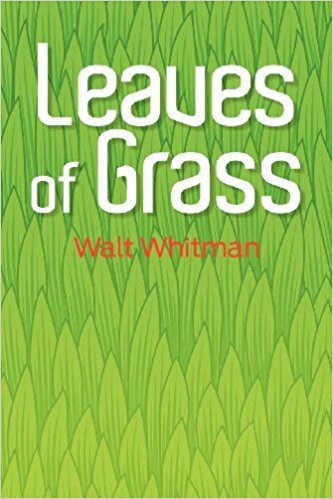 Leaves of Grass has always had a soft spot in my heart because our high school English teacher cautioned us NOT to read certain verses, no matter what – thus treating us like near-adults for the first time in our lives, and ensuring that we all read the best, and most full-of-life, bits. “I am large, I contain multitudes… All truths wait in all things… I tramp a perpetual journey” --– what a delight to encounter lines like this in context, instead of plucked out to stand lonely on a page! (though they function just fine on their own too). 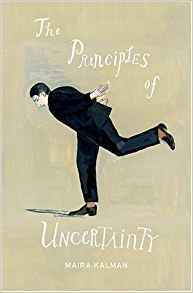 Just read it - preferably an old paperback copy, curled in a sunny window - you will feel all springy and new and full of vim. From the title poem: That quick unburdening, backbreak’s truest payback, A letting go which will not come again. Or it will, once. And for all. I cannot give you any more compelling reason to read this book! 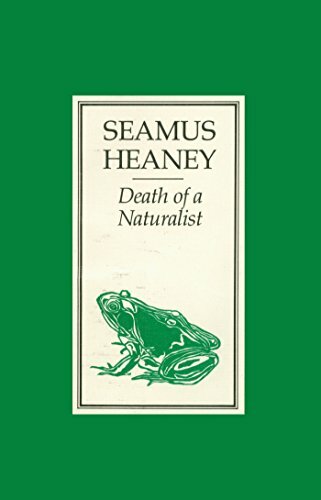 Every spring during peeper-frog season I re-read this poem, and I can hardly believe that it is already 50 years old. “The great slime kings”! All year the flax-dam festered in the heart Of the townland; green and heavy headed Flax had rotted there, weighted down by huge sods. Daily it sweltered in the punishing sun. Bubbles gargled delicately, bluebottles Wove a strong gauze of sound around the smell. There were dragonflies, spotted butterflies, But best of all was the warm thick slobber Of frogspawn that grew like clotted water In the shade of the banks. Here, every spring I would fill jampotfuls of the jellied Specks to range on window sills at home, On shelves at school, and wait and watch until The fattening dots burst, into nimble Swimming tadpoles. Miss Walls would tell us how The daddy frog was called a bullfrog And how he croaked and how the mammy frog Laid hundreds of little eggs and this was Frogspawn. You could tell the weather by frogs too For they were yellow in the sun and brown In rain. Then one hot day when fields were rank With cowdung in the grass the angry frogs Invaded the flax-dam; I ducked through hedges To a coarse croaking that I had not heard Before. The air was thick with a bass chorus. Right down the dam gross bellied frogs were cocked On sods; their loose necks pulsed like sails. Some hopped: ©Honeybee Capital 2016 The slap and plop were obscene threats. Some sat Poised like mud grenades, their blunt heads farting. I sickened, turned, and ran. The great slime kings Were gathered there for vengeance and I knew That if I dipped my hand the spawn would clutch it. How can you not be intrigued by a poet who is famous for a work called The Lice? 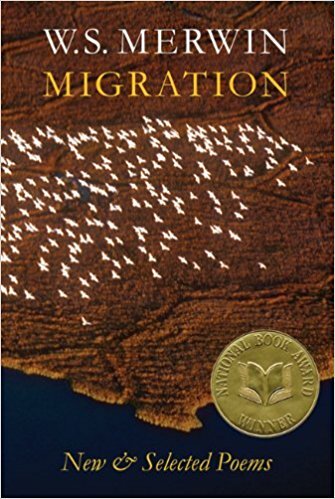 Merwin is our new Poet Laureate – this, plus the unending praise of a classmate of mine, have pushed me to become familiar with his work, and this volume (a National Book Award winner) is a good combination of, as it says, new and selected poems. With lines like “My friends without shields walk on the target” and “I remember the rain with its bundle of roads”, I am inclined to read on and on. What, you don’t know the poet Mary Oliver? Run, don’t walk, to look up one of her poems – almost any one. Find a hammock, read a poem, close your eyes. Open them, read it again. Repeat. I cannot pass up anything Mary Oliver writes, and this is no exception. 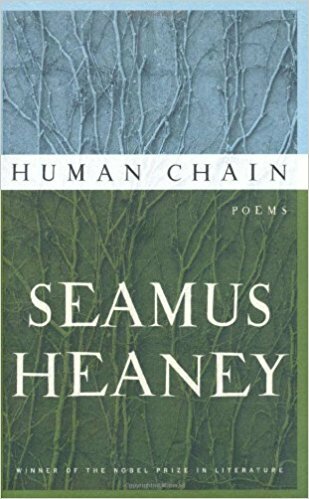 The poems here are beautiful, provocative, and often tinged with impatience or even melancholy. 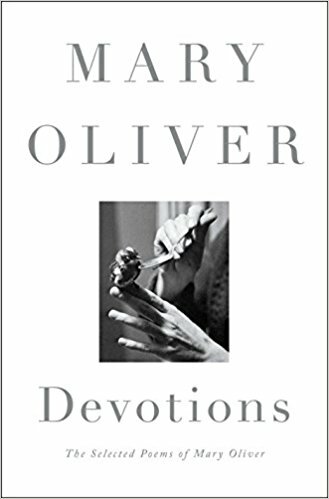 “There are moments that cry out to be fulfilled...” This slim little volume is a great companion to Oliver Sacks’ Gratitude, noted above – or combine it with Red Bird or Why I Wake Early, two other Oliver favorites. 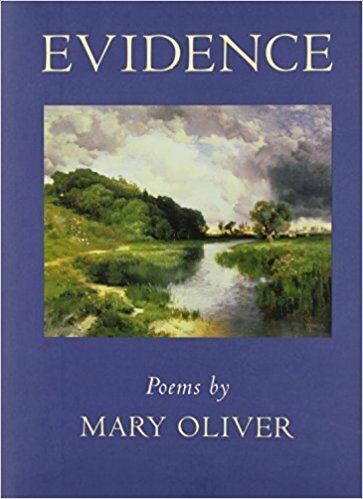 It seems that I highlight every Mary Oliver as it is published, and for good reason. 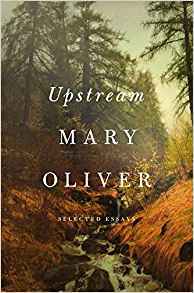 In theory, this is a collection of essays, but in reality, everything Mary Oliver writes is poetry. If you’ve ever wished for a little extra context, a little more narration to go with her poems, this volume provides it. I read this collection all through the tumultuous season of election discourse in the US, and it helped to soothe all of those jagged edges – not with numbness, but with clarity. This book is a perfect combination: Sabbath poems written over the past couple of years, plus a tremendous long essay, The Presence of Nature in the Natural World. Each time I finished one of the poems (which continue on from the series contained in This Day), I had to close the book for a moment and close my eyes. And when I finished the first gulping-it-down-it’s-so-good reading of the Long Conversation essay, I turned right back to the beginning, to give it the close and thoughtful – and SLOW – reading that it deserves. 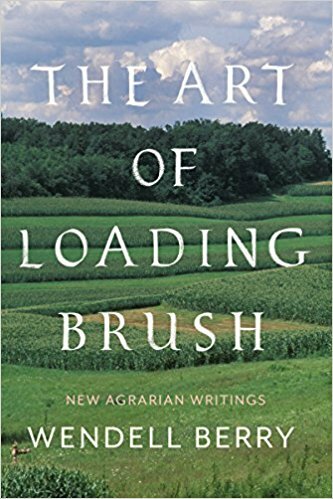 Wendell Berry is a treasure, as is this book. (With extra thanks to dear friend Ruth for gifting it to me!) There is also a new edition of Berry’s Roots To The Earth out this year, with wood etching illustrations by Wesley Bates, which is just beautiful and well worth seeing in real-paper form. 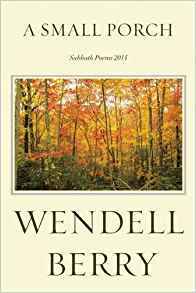 As the weather’s turned, I’ve been spending chilly Sunday mornings with Wendell Berry – well, with his writing – and there could be no better company. 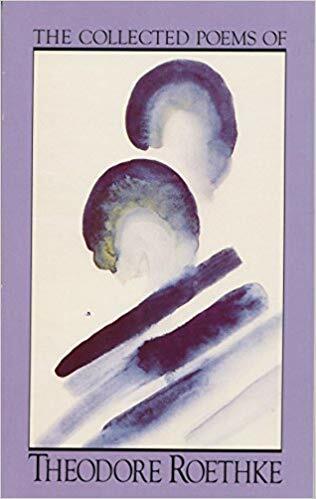 In this volume Berry speaks with poetry and frankness, cautioning against ungrounded idealism as much as mindless extraction. It is always bittersweet to read posthumous writing. 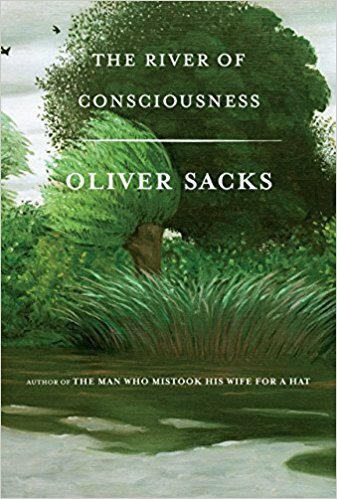 These essays bring ongoing delight in Sacks’ amazing mind, and a wistful realization that now we will have to re-read his words forevermore, as the new ones have been silenced. A wonderful entryway to year-end big-picture reflections – and while you are at it, review his beautiful Gratitude as well. Have you ever toured an exhibit with an especially talented curator? What if that curator is also the artist? 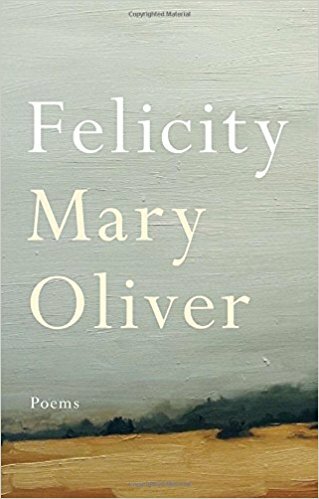 In this volume Oliver has arranged highlights from her 50- plus years as a poet – a gift to us all. I came across Roethke most recently when a quote of his appeared on my Bloomberg terminal at work. “Deep in their roots, all flowers keep the light.” His writing is hopeful precisely because it does not ignore the darkness.